This post is sponsored by OLLY, but the content and opinions expressed here are my own. The phrase “self-care” has increased in popularity as of late. When envisioning self-care, we often look to some sort of pampering – at-home manicures, splurging on a pricey beauty find from Sephora, or even getting two fancy lattes in one day and breaking our savings goal. But self-care can go a bit deeper, as in actually caring for your well being. This year I’m committed (or at least making huge attempts) to boosting my immune system with help from OLLY Nutrition. OLLY makes everything from protein blends to superfood multi-vitamins. 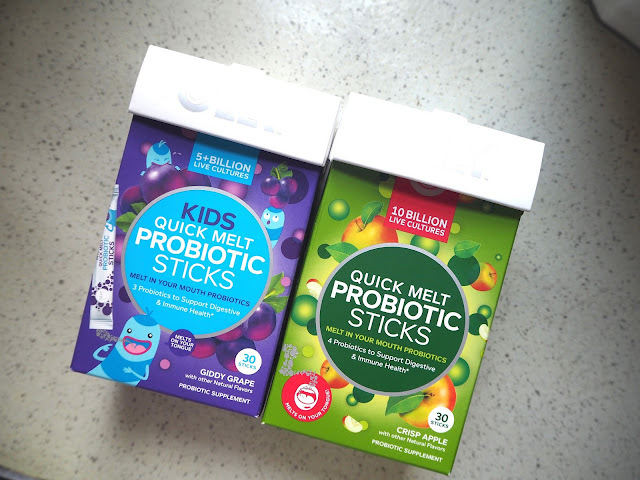 And now they’ve introduced the Quick Melt Probiotic Sticks. 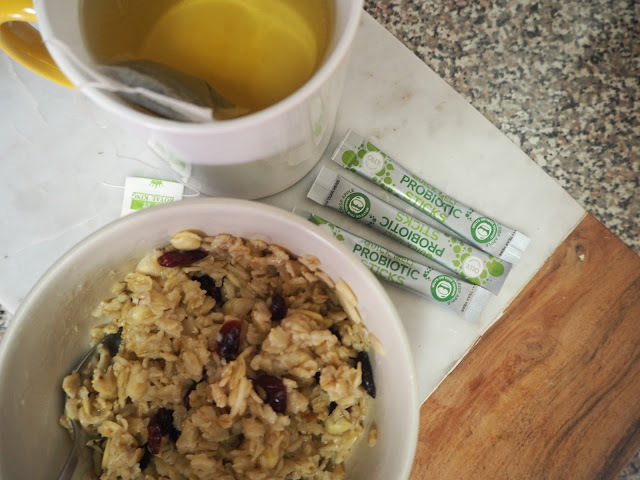 The sticks contain 10 billion cultures dispersed throughout 4 different probiotics to support digestion and immunity. The convenient sticks are small enough to toss in your bag and go. The box contains 30 sticks for $24.99, a steal in comparison to many other probiotics on the market. Plus, you don’t need to stir in water or dilute with any liquid. 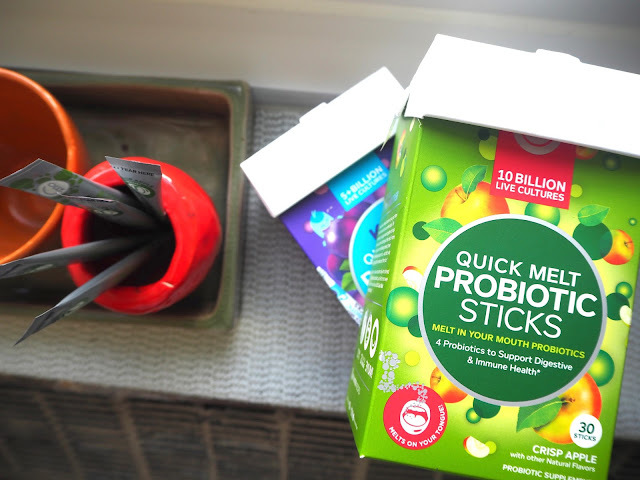 The Quick Melt Probiotic Sticks come in flavors Green Apple and Juicy Blueberry. The list goes on but taking one stick a day balanced with a healthy diet and exercise can significantly improve your health. It would even make a great alternative Valentine’s Day Gift. Ensuring the health of bae means ensuring the health of your long-lasting relationship. Thank me later. And probiotics are not just for adults, they’re great for children too! The children’s version comes in Giddy Grape and has 5 billion live cultures. They work the same way as the adult version, just less probiotic strains. I’m sure it’ll be easy to get your little ones to take their vitamins when they taste and look like candy. And for a limited time, you can get 20% off your purchase at OLLY! Tell me how else you’re kick starting your health journey for the year.